Local charities need your support. Here are just some of them. Support their events or get involved. Now known as the Fire Fighters Charity, they help to support serving and retired frefighters. 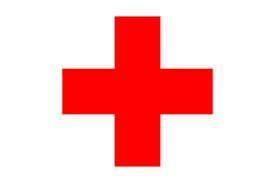 Every year the British Red Cross helps more than a million people in the UK. The Legion has been a voice for the Armed Forces community for over 90 years. Join us to help ensure our veterans and serving personnel get the support they deserve. St John Ambulance teaches people first aid – about 800,000 last year alone – so that they can be the difference between a life lost and a life saved.